An analysis of World Health Organization data shows measles breaking 60,000 cases in 2018 — with twice as many deaths. 2018 saw more cases of the entirely preventable disease than any other point this century. More than twice as many people contracted measles in 2018 as in 2017, and 72 people have died as a result. Experts worry that “anti-vaxxers” are threatening the “herd immunity” that keeps measles, HPV, the flu, and other diseases at bay, as the blatantly unscientific opposition to modern medicine spreads through social media. 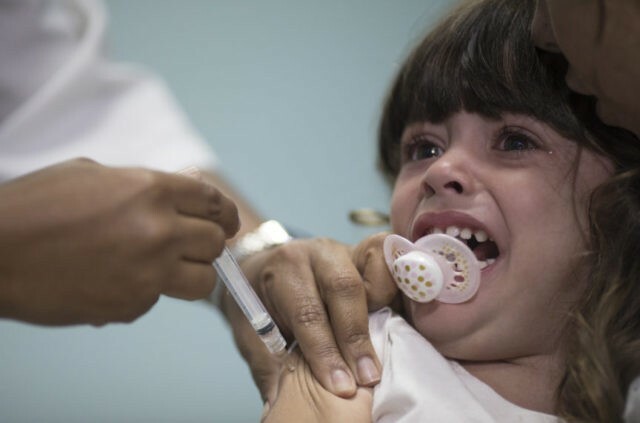 “It is unimaginable that we have deaths because of measles — children dying because of measles,” European Union health commissioner Vytenis Andriukaitis. “We promised that by 2020 Europe would be measles free.” The Guardian reported that Andriukaitis blames some “right-wing populist politicians” for stoking the fires fueling this dangerous trend.